Well, most of our fleet has headed north for the Summer. World J/120 didn’t follow the whales this year, but was subjected to the indignity of a flatbed truck. 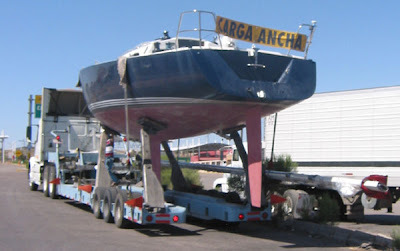 Time constraints being what they are, we wanted to get the boat back in San Francisco to get ready for the Pacific Cup race to Hawaii and the cruising class from Hawaii to San Francisco this summer. Here is good ol’ J/World high and dry, beating to weather at about 100kph! By the way, to the student who left their red lifejacket in Puerto Vallarta, I think we found it. The trucker seems to have forgotten his red flag for the end of the mast! That’s one of our J/80’s and “Mamicita,” our Mexican Road Warrior Hauling Machine. Which way to the water?!? 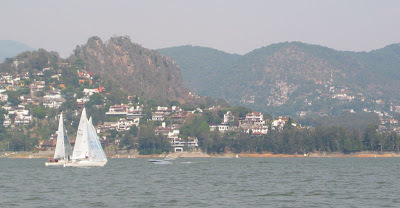 So I just got back from doing some coaching for a J/24 team in Valle de Bravo, a beautiful lake about a two hour drive from Mexico City. This is a popular getaway for the city dwellers, and there is a fantastic sailing scene. Scattered around the lake are more sailing clubs than I can keep track of, and all manners of boats were out sailing. There were races going for Optis, Lasers, Terns, Santana 20s, J/24s, Hobie 16s, and who know what else… there were probably four race courses scattered about at any given moment. The J/24 fleet alone regularly draws some 25-30 boats! It was a very great scene to see. The J/24 2009 North Americans will be in Valle next February, and it promises to be a great event. Hopefully we’ll see you down there! 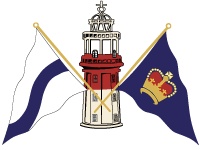 http://sailing-jworld.com/jworldwp/wp-content/uploads/2015/01/Header-Logo.gif 0 0 jworld http://sailing-jworld.com/jworldwp/wp-content/uploads/2015/01/Header-Logo.gif jworld2008-05-06 15:52:002015-01-05 20:06:12Bravo!